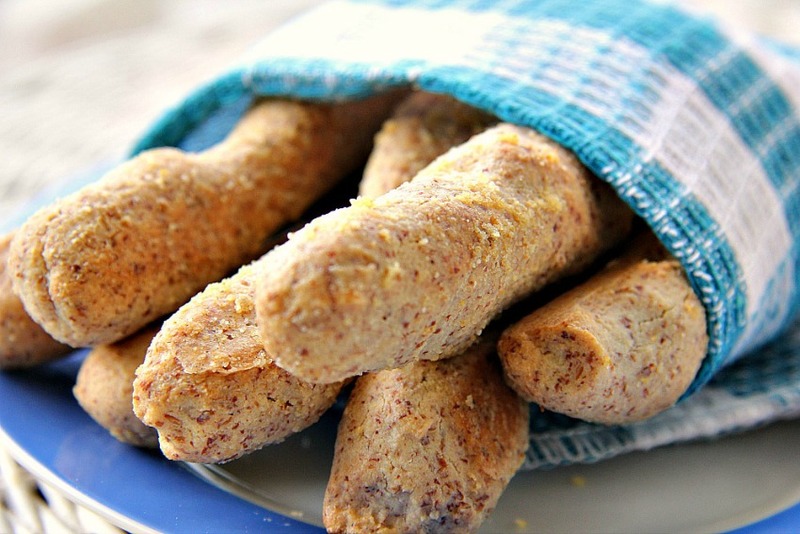 Welcome to my garlic breadsticks recipes made from almond flour. This is also delightfully low carb and gluten free. These are best enjoyed immediately from the oven. 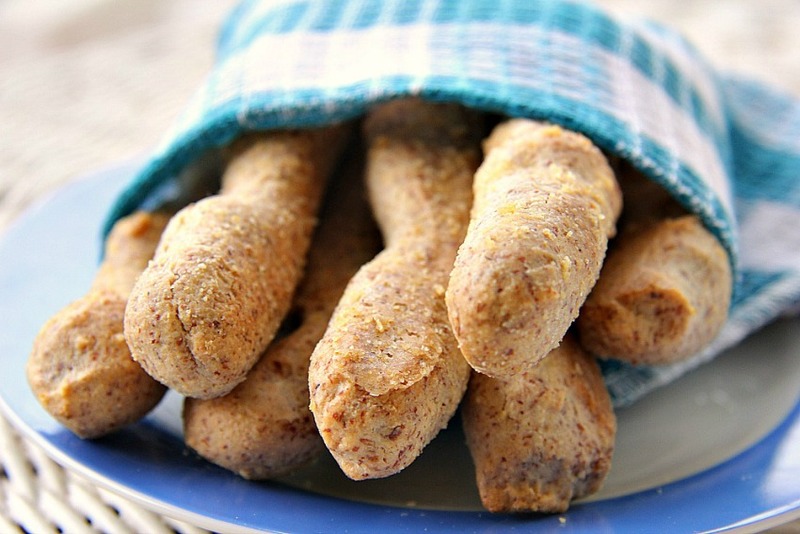 Once you have slathered the breadsticks with garlic butter I implore you to eat them there and then. We munched through these and could not finish them all as I was also baking other items to taste test too. So a few were set aside the next day. I did not care for them and would now only eat them once they are baked. Mind you, they were very crunchy the next day, so perhaps this is a matter of personal taste. If you make a batch and keep a couple for the next day, let me know your thoughts. When you are rolling out the dough I recommend that you use wet hands as the dough is sticky. That way the sticks are more pliable and easier to handle. Feel free to get creative with the dough and make different shapes or twists too. 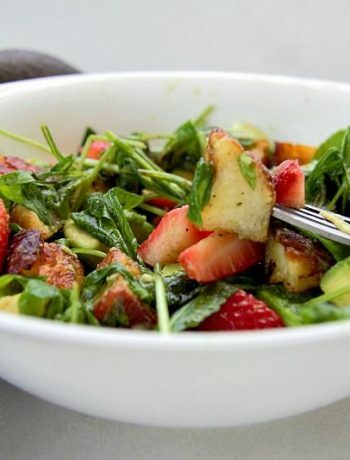 You could also sprinkle on some grated Parmesan cheese if you so wished. 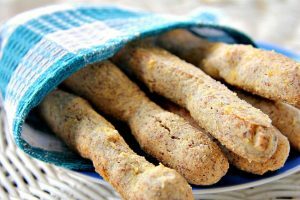 For me, I just wanted plain breadsticks flavoured with garlic butter and this recipe delivered. Sometimes I think that there is nothing better than the smell of garlic baking. Well, there are lots of smells that I enjoy but the smell of garlic is up there amongst my favourites. Once you brush these with the garlic butter you will be hovering around the kitchen with one on the timer for them to be ready as they smell fantastic. Feel free to add more garlic butter than the recipe too. Next time I might double up the butter! Yum! Add the garlic powder to the softened butter. 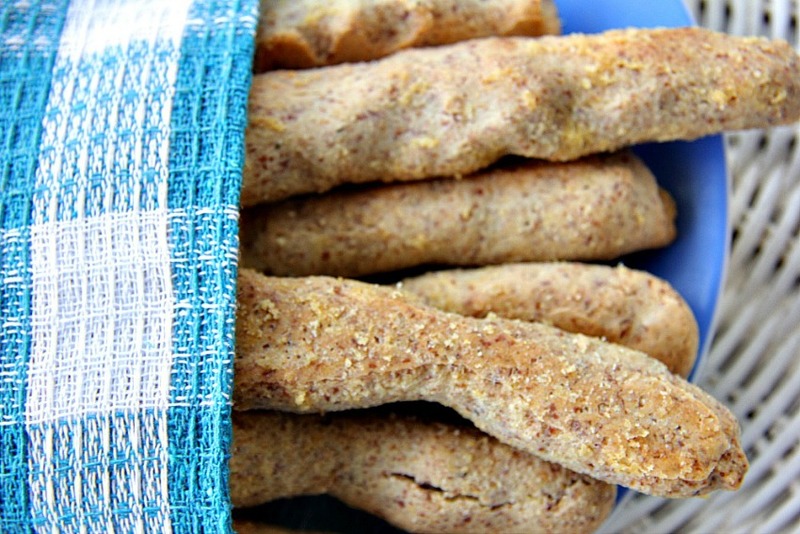 Place the almond flour, salt, psyllium husk powder, baking powder in a bowl and mix. Add the melted butter and egg and stir until combined. Add the boiling water and mix until a dough appears. Either cut the mixture into 8 or use wet hands to make 8 balls. Using your hands, (wet hands help), roll the balls into sticks. Place on the baking tray. Bake for 15 minutes, remove from the oven, turn the sticks over, then brush with the garlic butter. Bake for another 5 minutes until firm and golden. This looks really good. Can’t wait to make them! Do you think you could make pizza crust out of the dough? It would be like a thin crust pizza but can’t see why not! Enjoy! Thanks! Hope you enjoy them. They are great for dipping too!